Korg PB-01 Pitchblack Chromatic Tuner. Made in china around early to mid 00’s. Another chromatic tuner? Yes. One can’t have too many tuners. Ok, that’s not as good thing to say as one can’t have too many fuzzes, but tuners do have differences. And i do enjoy trying different ones out and comparing them in feel, accuracy and usability. 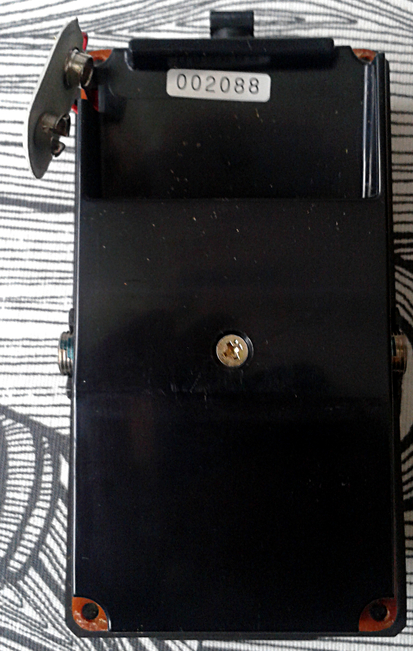 I may have said on some other tuner related post that i use my “ol’ faithful” Boss TU-2 as my workshop tuner. But why not use some other one? The bad ones with obvious faults are not an option, like all the different ones from Danelectro’s catalog and the DOD Tuna, but there are good, usable units in numbers. While i’m still using the TCE Polytune (1st version) on my personal board, the wokshop may need a change every now and then. I wasn’t actually looking for a new tuner, but i had an offer from someone who had a boxful of pedals that were submerged at one point during a water damage to the building the pedals were in. After three years of drying them up, the guy decided to sell them. I was puzzled with this offer. Good pedals and most of them missing from my collection. If the water had been salty or otherwise filled with impurities, the circuits would be unsaveable. 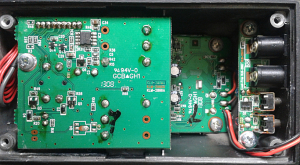 Or, if the pedals have had batteries of power supplies attached to them at the time, the circuits would have been totally gone. But if the water had been pure sweet water, the damages to the circuits could have been minimal. I just went with my guts and bought the whole set. The photo below shows some minor decay on the cheapest metal parts. But simply cleaning the boards up was enough. It is working fine. Even though it has been submerged in water. Korg is a brand that’s known for high quality digital designs. So it’s reasonable to assume that the tuner from this brand should be a safe thing to buy as a new unit (or why not used). In my tests and comparison against Boss TU-2, i think this is more than just a solid product. It is simply good. The box isn’t your standard aluminum, but some sort of composite metal that has a slight plastic feel to it – without being plastic. Overall judgement would be that the unit as a tuner is accurate and doesn’t react to intereference too much. It doesn’t. But it works remarkably well. Black overall and big lights that show you the way. Hey Danelectro engineers! Check this out! This here is the exact reason why your tuners did not sell. 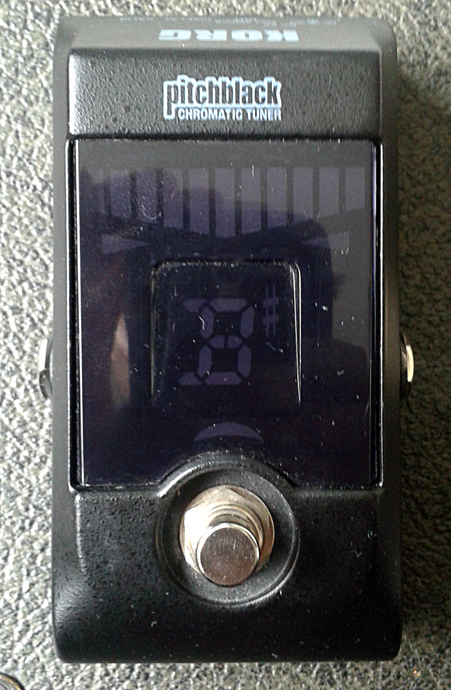 Designer of a guitar tuner should focus on creating an useful product, not to tinker around with LCD displays. The big mild lights on the Pitchblack are simply good. Bright enough for you to see what the tuner tells you, but not too bright to blind you in the process (yup, Behringer engineers, i’m talking to you!). If one gets over the slight plasticky feel of the box, the prices on the used market suggest that you should be able to afford one of these. And it won’t go wrong. Pitch perfect. 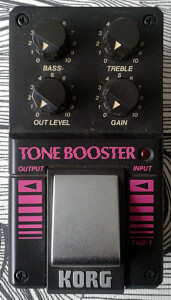 Korg TNB-1 Tone Booster from Series 1. Made in japan in late 80’s. Really solid enclosure that is fastened through the top rather than from bottom. 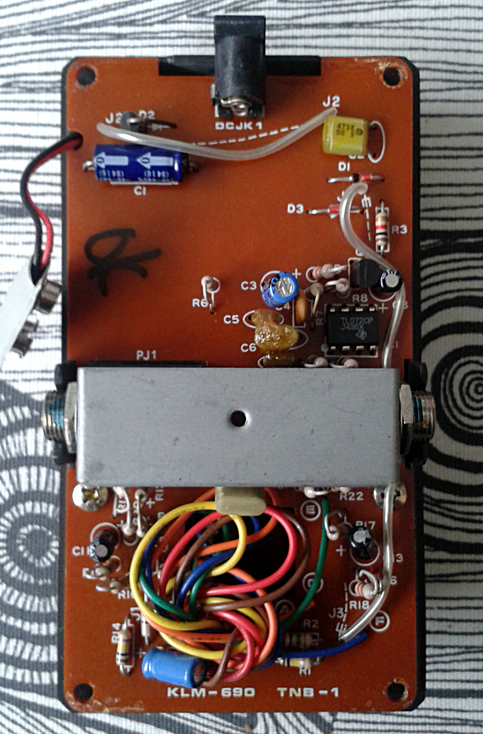 Relatively small board footprint and comes with dreadful asymmetry. Despite that, i think i’m just going to go with saying that the unit is very well designed and built. It’s not offering any high gloss eye candy on the board design, but i think it should handle heavy use for a long time. To analyze the schematic, there is input buffer that splits the signal for bypass buffer and the first driver stage. The bypass buffrer outputs to DPDT stomp switch and while it has two buffers on in bypass mode, i didn’t notice any of the sucking. With a short testing, that is. Anyway. The first driver stage is non-inverting opamp stage that has similar gain control that you’ll find in OD250/Dist+, only with 1M reverse log pot. This should give out more usable sweep for the pot and it does. 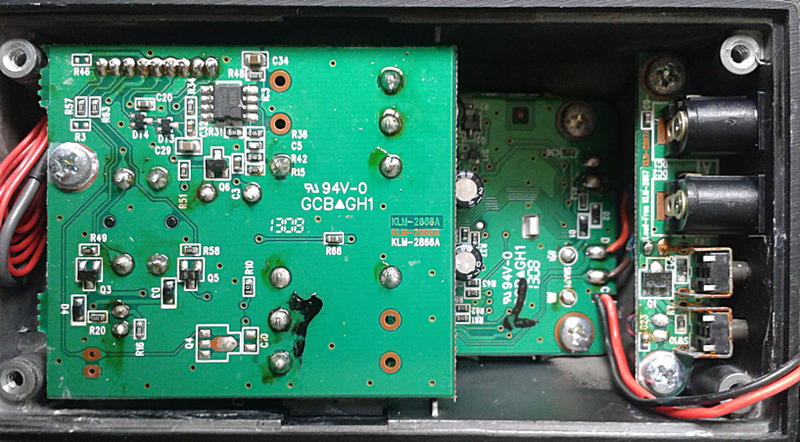 This gain stage can be cranked to massive distortion. 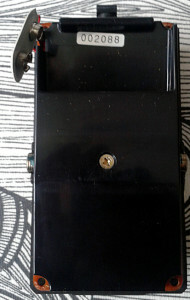 The stage drives a simple two band tone control which then passes the signal to recovery gain stage and volume control. I’d say the original designer has put the TL072 in good use. The recovery gain stage is inverting, so the wave coming out is inverted. This is not unusual, but something that user might want or need to know. I find the bypass method interesting. Simple but effective. While the bypass buffer always gets the signal in, its output is switched between effect and bypass. Other pole of that switch either kills the gain stage or lights up the LED. It may not be anything super special, but it has some out of the box thinking involved. This is a very nice unit to have. 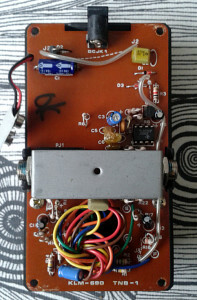 From mild preamp to massive distortion with well working EQ section. Good ouput level and usable range from unity tone shaper to singing leads. It sounds good. No denying that. 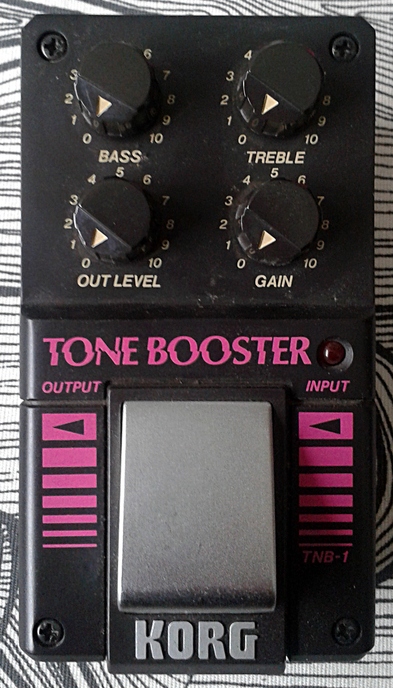 I’d still call this an distortion rather than a conventional booster, it offers nice versatility in tone. Good sounding well built unit. I do not see any downsides to this one. Entries (RSS) and Comments (RSS). 36 queries in 0.141 seconds.